As you fill your herb garden with a selection of aromatic and savory herbs, be sure to include tarragon. Tarragon grows as a perennial herb as far north as USDA zone 4 and as an annual herb in colder regions. When gardeners plant tarragon, they often plant root divisions or stem cuttings instead of planting seeds. Take a stem cutting from a vibrant tarragon plant, and root it in potting soil. The stem cutting will root and begin to grow within a short time. Fill a planting container with potting soil. Spray the surface of the potting soil with water to moisten. 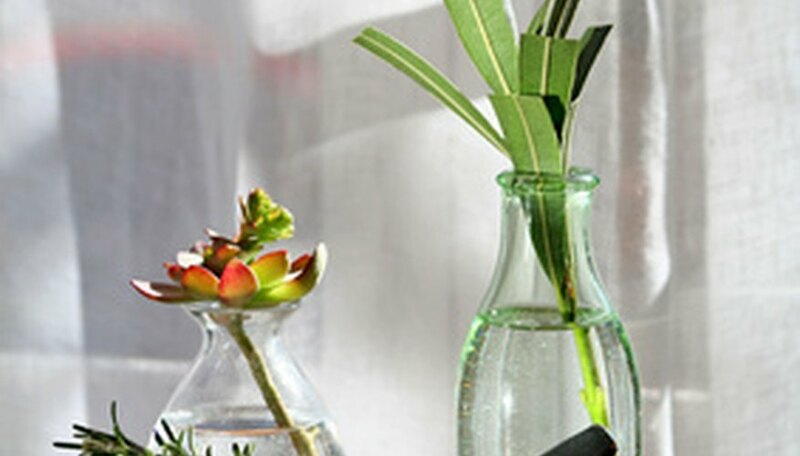 Clip new stems from a vibrant tarragon plant early in the day. Use the pruning shears to cut stems between 4 and 6 inches long. Make the cuts immediately under a node (the intersection on a plant stem where leaves connect). Remove the leaves from the stem from the bottom third of the stem. Dip the bottom of the tarragon stem into rooting hormone. Insert the stem into the potting soil in the center of the planting container. Insert approximately one-third of the stem into the soil. Firm the soil gently around the stem with your fingers. Place a plastic bag over the top of the container, and secure it to the rim of the container with a rubber band. Spray the soil daily to keep the soil evenly moist. Place the planting container in a warm location out of direct sunlight. Monitor the rooting process. When you see new growth beginning on the stem, you will know that roots are forming beneath the soil. Remove the plastic bag at this point, and treat the tarragon as a new tarragon plant. Transplant the new tarragon plant outdoors, if you wish, after you allow it to grow for another month in the container.